Added on August 24, 2011 by Jourdan. This exhibition deserves a post all to itself. I couldn't be more thrilled to have seen this work. I have been a huge fan of Henrique Oliveira for quite some time and this was the first time I've had the chance to experience one of his incredible installations in person. WOW! Sandile Zulu's work is pretty crazy too (I was unfamiliar with him before this exhibition) and the two of them make for a very dynamic pairing. Bravo! I brought Steve to the Corcoran during his visit last weekend specifically to see this exhibition (because he would have loved it) but unfortunately it had come down the day after I saw it!! Bummer! WHOA - I found this small body of work to be much more interesting/exciting than the 2 solo exhibitions of Kandinsky and Stella's work - also on view at the Phillips Collection. Added on May 31, 2011 by Jourdan. I am so honored to be included in this incredible exhibition... 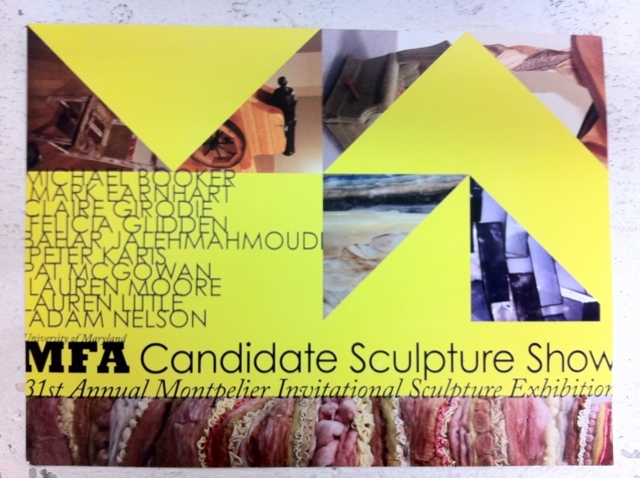 Please check out the 7 other talented artists featured in the show! I've included some installation shots, so you can get a feel for how the gallery space was broken up between the 8 of us. For more info on each artist, please CLICK HERE to see their profiles from the feature in Charleston Magazine, which is serving as the catalog for the show. Added on December 6, 2010 by Jourdan. Back in September I made a quick little trip up to NYC. Though I've been to the city several times, this was my first time visiting both the Whitney and the Guggenheim. At the Guggenheim (though they were in-between shows) I couldn't help but feel like I was in a Matthew Barney film. Not normal. We caught, by chance, the live performance of this Marclay film set to music. It was 30 minutes long and never once boring. I couldn't stop thinking about John Baldessari.